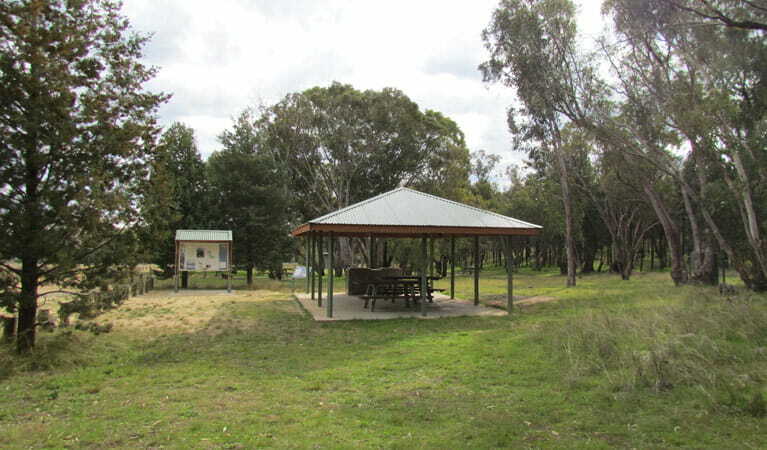 Ben Halls campground is a fantastic base during your stay at the park. Gullies, walks, waterfalls, historic sites - there’s so much for you to see and do from here. Caravan/trailer sites are marked, other campsites and tents are not marked. Spaces for camper trailers are limited, however if space is not available, camping is permitted in the adjacent State Forest. 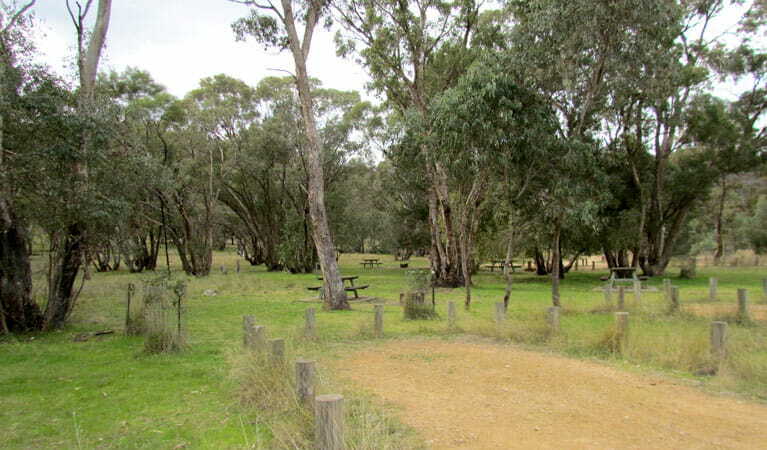 Ben Halls campground is settled between large eucalyptus trees on the western side of Weddin Mountain National Park. 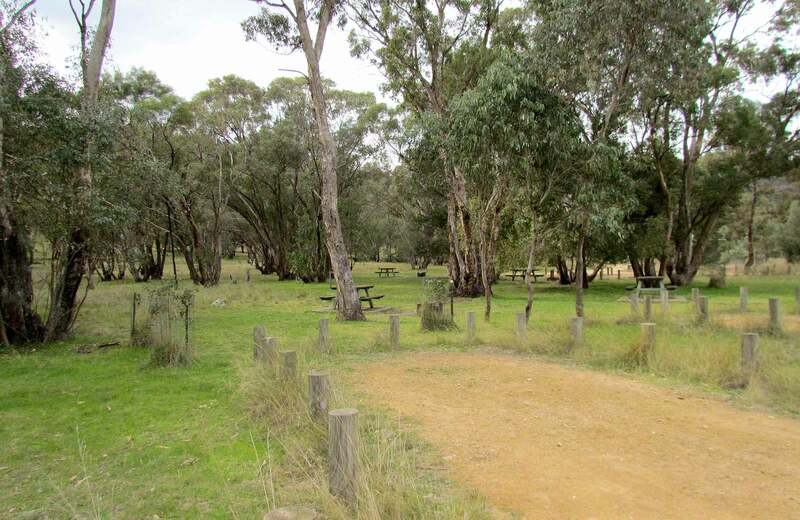 With Basin Gully as a picturesque backdrop, this open woodland setting with large grassed campsites provides a welcoming atmosphere. 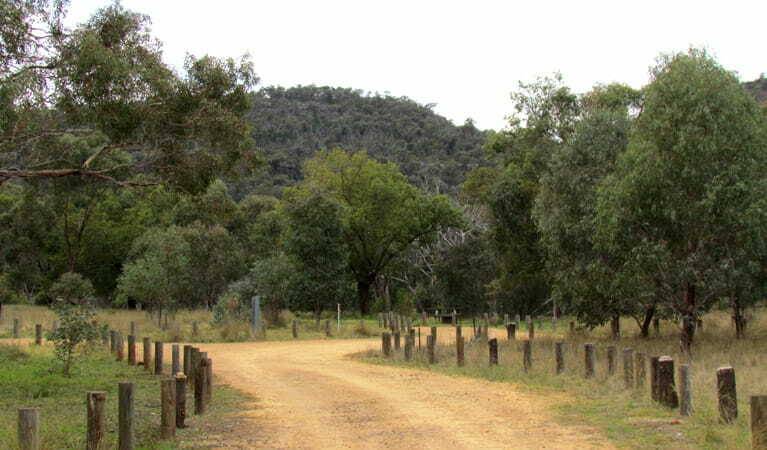 From the campground and adjacent picnic area, follow the marked walk up Basin Gully, around Lynch's loop, or on to Ben Halls Cave, the famous bushranger's hideout. Continue up Bertha's Gully and onward to Seaton's Farm, where historic relics are still scattered, reminding visitors of a farming family’s inventiveness during very tough times. At dusk, sugar gliders and brush-tailed possums come out to play, and during daylight hours, you’ll be joined by wallabies and kangaroos hopping through. Ben Halls campground is a great place to base yourself over a couple of nights’ stay, as there’s so much to see and do from here. Weddin Mountains National Park is always open but may have to close at times due to poor weather or fire danger.